After seeing that the Imagination Tree started a 5 A Day Book Linky I thought I'd try and join in when I can. We've enjoyed some FIAR style units over the years and can definitely see the value in the 5 A Day philosophy. 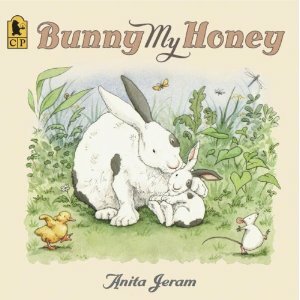 Bunny My Honey is a delightful little story of a 'toddler' bunny that wanders off, whilst playing with his special friends and finds himself lost. It has just enough sadness and fear in the story to engage the feelings of being lost with the child, without it being scary. 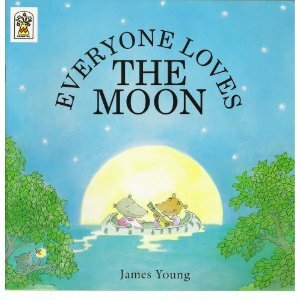 Beneath the magic of the moon, cats dream and cows croon and Mr Raccoon serenades Ms O. Possum with a simple tune, called Everyone Loves The Moon. A celebration of the moon's enchantment, full of romance and humour. (taken from the back cover) This story will have you singing along with Mr Raccoon! Shoe Cottage is a twist on the nursery rhyme, The Old Woman That Lived In A Shoe and Jack in the Beanstalk. All of the characters from both entwine when the shoe is in need of repair, a giagantic repair. At first glance the giant may seem slightly intimidating but the reader quickly realises that he is a friendly caring fellow. 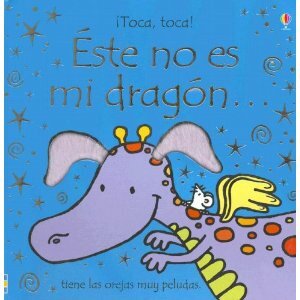 That's Not My Dragon, a simply rhythmic, touchy feely board book (could only find a spanish image) from Usborne. They have a whole range in this serious and I think they are fabulous. It won't be long before our days of reading board books will be over :-( A little mouse on a journey to find his dragon. This is an hilarious story and perfect for a wide variety of ages, repetitve text and questioning for the reader, ensures you are engaged with this little gem. I go back and forth on Who Sank the Boat, I really like it, but sometimes I struggle with the cadence of reading it. All great choices! We enjoy looking at "It's not my..." series even now in the bookstore. There is something about touch-and-feel books that my daughter still finds irresistible. Thanks for joining WMCIR! The Mary Ryan Book Shop is a great shop for childrens books in other languages. I bought a couple for JC when he was interested in French. 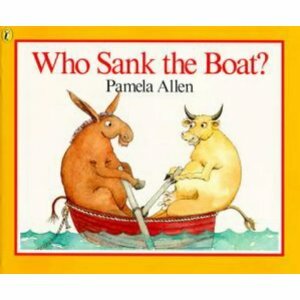 Who Sank the Boat has to be one of my favourite Pamela Allen Books. Its great to see Children Love their books. I love the Usborne That's not my... series. Fun to have it in Spanish, too.